After the recent success of MyPhone Rio in the Philippines, the reputable Pinoy brand rolled out another version of it, the “Rio Lite”. This spin-off of device of the original Rio is strategically priced at P3,999. But how would a Php 1K-margin differ in terms of hardware specs? The Rio Lite is packed with beefy features. It sports a 4.7-inch WVGA IPS display, a 1.3GHz quad-core CPU, 5MP main camera with 2MP front camera. In terms of storage, it’ll have the basic 4GB on-board memory that is expandable via microSD, 512MB of RAM. The Android 4.2 Jelly Bean will also run the whole show for this device. 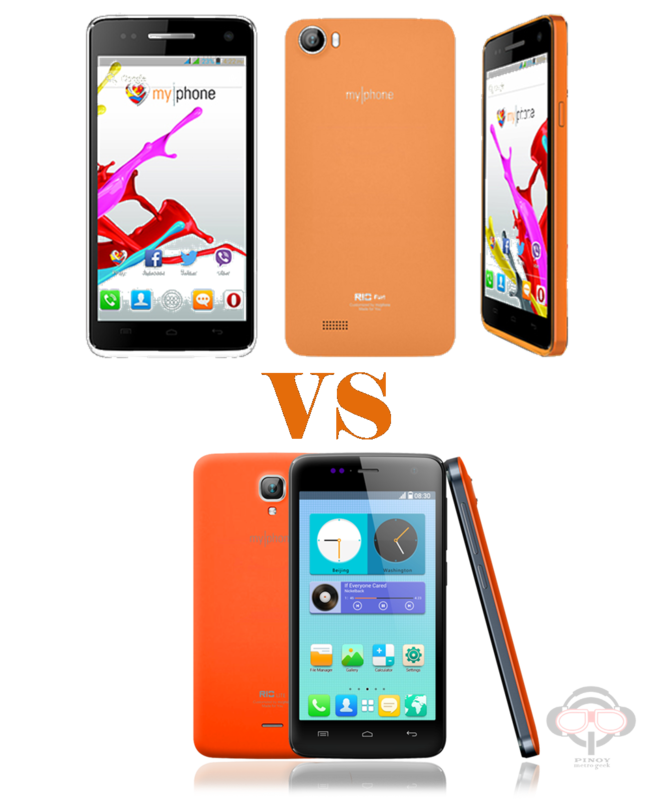 So what’s the difference between MyPhone Rio to its shed-down version? Below, shows a comparison of the technical specs of Rio Lite with the regular MyPhone Rio. The lower price sounds great for the budget but behind it is compromising RAM for your multitasking needs, display quality and size, and photo quality. Nonetheless, if you’re in the market for a capable sub-4K quad-core phone, the Rio Lite is a good choice. But if you have an extra cash to spend, grab the MyPhone Rio.